The Great Manchester Police website in the UK was subject to multiple attacks yesterday (2nd September), causing it to crash. In an official statement, it said that its website, known as the Force, had been taken down twice in what is now thought to be a distributed denial-of-service (DDoS) attack. It reported that initial checks carried out found nothing “untoward” and it managed to bring the system back online again fairly swiftly. However, its assessment proved to be flawed, as no sooner had they got the website back up, it was once again down. 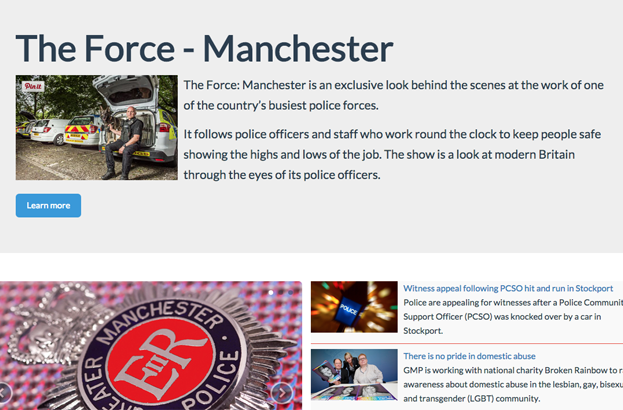 This was in direct response to an earlier tweet sent by Greater Manchester Police, in which it informed its followers that its website was experiencing “technical difficulties”. “We are treating this as a denial of service attack, which is a malicious attempt to disrupt services,” commented deputy chief constable Ian Hopkins of Greater Manchester Police. “I want to reassure people that the server for the website is not connected to any other Force system and that the information contained on the website is all public information. Late last month, the UK’s National Crime Agency was hit by a DDoS attack, in what is thought to be a direct response to the agency’s announcement last month that it had arrested six people as part of Operation Vivarium. These individuals are thought to have been using a tool known as Lizard Stresser, which basically allows users to pay to take websites down for up to eight hours at a time. Tony Adams, head of investigations at the NCA’s National Cyber Crime Unit, said at the time: “By paying a comparatively small fee, tools like Lizard Stresser can cripple businesses financially and deprive people of access to important information and public services.